Malnutrition in India has become a situation that haunts the lives of millions of children. Among the 472 million children (2011 census), a whopping 97 million are anaemic and undernourished. For children five years or younger, close to 40% (actually 38.7%) are stunted (below normal height for the age), 19.8% are wasted (underweight and short) and 42.4% are underweight. The data-set revealed by the latest NFHS-4, states that nine out of the 11 states surveyed have not been able to reduce the rate of Infant Mortality even by 2 points annually. And that, 40 out of 1000 infants don’t get to celebrate their first birthday. 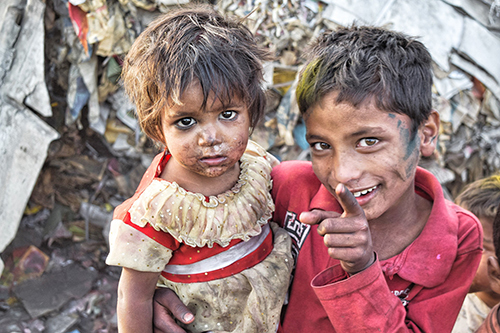 India is home to the highest number of malnourished children in the world – 1 in every 3 children are malnourished. As per the most recent available data, roughly 40% of children under five are stunted and 21% of children under five are severely wasted or undernourished. A child’s foundation is critical for the overall development of a human being. In fact, 90% development of the brain occurs within 5-6 years of age. Thus, to ensure a right start to life, early childhood care and learning is exceedingly important. At Anchal Charitable Trust these issues are of serious concern and, compels us to work at the grassroots level with its partner organisations to ensure that every individual understands the importance of malnutrition and its role in child development and help introduce positive change. Proper immunisation procedure is adopted to ensure that the first two years of a child’s life can contribute to a lifetime of ill health. Timely polio drops, immunisation and monitored development, are crucial to preventing malnourishment. Wholesome nutrition because it is not enough to feed hunger. Without essential micronutrients like iodine, iron and vitamins, children suffer brain damage, night blindness, rickets, anaemia and even heart failure.